The Search for Chess Perfection II. Type: BOOKS. Detail: Purdy, CJS. Product Code: 1888710306. Category: AUSTRALIAN. Publisher: Thinkers Press. 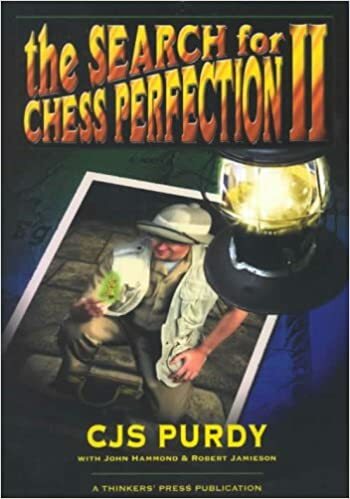 Chess coach review "Ive often recommended this book by CJS Purdy as being one of the most readable and offering some of the best advice Ive ever read. The book is actually a collection of Purdys magazine articles and as a bonus it contains his biography and a collection of his best games. What I really like is that you can open it up to any page, read an article and actually learn something. Purdy also had a knack for actually explaining things with words rather than just presenting the reader with long lines of analysis and saying White is better.